EghtesadOnline: Although Indian investors have signaled their interest in petrochemical projects, they stress that gas feedstock prices offered by Iran is too expensive to let them clinch a final deal, National Petrochemical Company's deputy for investment said. "Indians had asked for natural gas feedstock to be priced at about 6 cents per cubic meter for urea and ammonia plants, but Iran does not intend to offer its gas resources for cheap," Hossein Alimorad was also quoted as saying by IRNA. According to the official, investment in development projects in underprivileged regions is entitled to receive feedstock discount, but slashing prices by 50% is impossible. "Negotiations usually go well, yet it has never ended up in an agreement because Indians claim they will be overcharged for the feedstock," he said, adding that NPC believes prices are set based on international norms. Alimorad noted that Indians have always sought very low prices and NPC has quoted internationally-approved prices, according to Financial Tribune. Highlighting Indians' interest in undertaking petrochemical projects in Chabahar, Iran's only oceanic port in the south, he noted that if they complete the petrochemical value chain in the region, they will get a 30% discount on their feedstock. According to the official, notwithstanding Indians' claim, Chinese investors are willing to finance the same ventures at the same prices. Iran uses a pricing formula whereby gas feedstock is offered to petrochemical plants at 9 cents per cubic meter. But according to reports, the average price of feedstock in Persian Gulf Arab countries is lower. "The Oil Ministry is not willing to undercut [feedstock prices] to attract foreign investment," he said. NPC is Iran's top policy- and decision-making company for the petrochemical sector, which operates under the auspices of the Oil Ministry. Referring to the advantages of Chabahr initiatives for India, Alimorad said agriculture is a key sector in the country, because of which they are making concerted efforts to invest in urea and ammonia plants to produce fertilizers. Moreover, the relatively short distance between Chabahar and India's Gujarat port, at 500 kilometers, is another plus point that has piqued New Delhi's interest in investing there. "India is also holding talks to import natural gas via pipelines, but deals are yet to be concluded," he said. 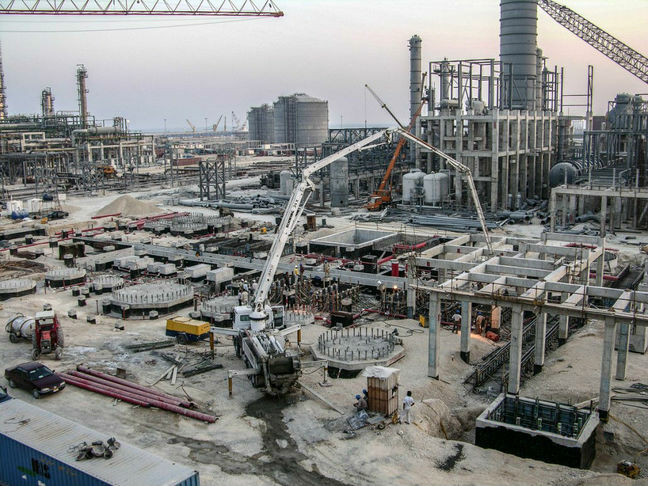 According to the official, Qatar is in talks with India to supply it with natural gas, yet it will not be able to meet India's need as a large part of its gas is converted to liquefied natural gas. "Iran's natural gas extraction from the giant South Pars Gas Field in the Persian Gulf stands at 580 million cubic meters per day," he said, noting that plans are in place to produce as much as 1 billion cubic meters in the next two years. Iran's nominal output capacity stands at 62 million tons of petrochemicals per annum. NPC hopes to lift nominal output capacity to more than 120 million tons per annum by 2022, the last year of Iran's Sixth Five-Year Economic Development Plan. Tehran earned $9.55 billion in revenues from petrochemical exports last year, official data show. Petrochemical consignments went mostly to Asia, Europe and South America. Petrochemical is Iran's biggest industry after oil and gas.